What are these skills you speak of? Find things when you need them rather than spending half of your planned task activity just trying to locate the items that you need. Keep track of tasks that need to get taken care of or appointments/dates to keep instead of constantly needing to apologize for forgetting to do things or show up when you promised to. Prioritize things that are the most important over accomplishing other perhaps the easier ones…or the ones that are less tedious…or the ones that just happen to be in front of your face (I call these rabbit holes…a major weakness of mine, I go down rabbit holes all the time. My professional husband also uses the term, “project creep” when he is encouraging me to avoid it and stay on task. ). Chunk/plan out long term projects so that you can gather the necessary materials and then work on them gradually rather than leaving it all to the last minute. Estimate how long a task will take, fairly accurately, so that as you plan things in your schedule or on your “To Do” list, you have reasonable expectations of yourself rather than expecting yourself to have 8 hands and 2 brains and then feel like a failure when you don’t accomplish everything on your list. A review of this is yet to come. I have ordered my copy… just learned that this planner exists! Amazon reports that it’s geared to kids in 6-12th grades. These authors have two other books that I recommend, Smart but Scattered & Smart But Scattered Teens. The authors’ do a great job of making things understandable in a way that doesn’t leave the reader feeling stupid. When you struggle with these skills, it can be easy to get down on yourself. These authors can do a great job of pulling you back up to feeling like you are smart and capable. So, this letter might be worth having. While I own this book, I have not had a chance to give it a read. It is geared towards parents of 4-13 year-old kids. 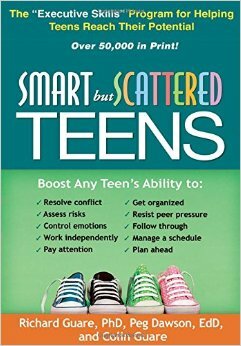 You can check out my review of their companion book, Smart but Scattered Teens, which I suspect is pretty similar to this one. 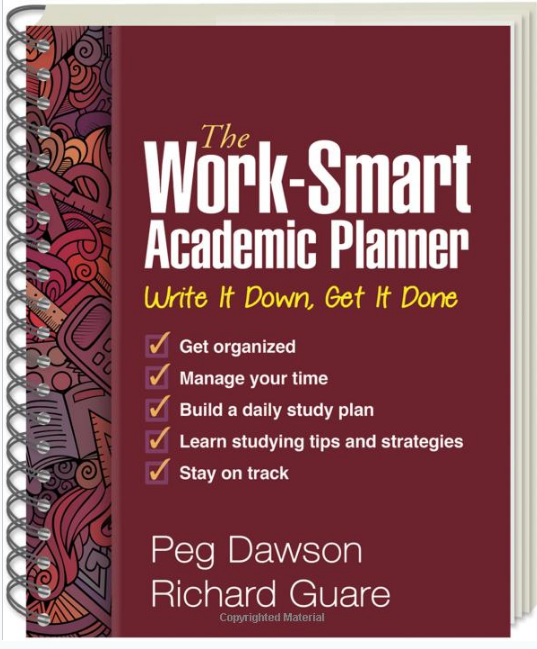 Additionally, in creating this review, I was excited to learn that they now have a Work-Smart Academic Planner that I will be reviewing as soon as I get my hands on a copy! With a sense of humor and practicality, the authors of this book provide concrete, step-by-step ways to take a look at your teen’s (and yours!) strengths and weaknesses in terms of organization and planning. 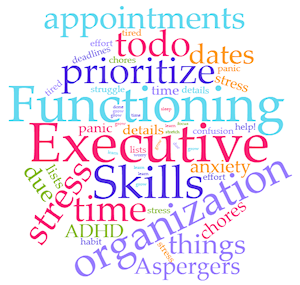 They then provide information about how people’s brains work and how having “executive functioning” challenges effects people’s day-to-day lives. They guide you through ways to improve these types skills with respect and compassion. The thing I like most about this book is that they emphasize that people with very smart brains can struggle with these skills. Geared to the 13 and up crowd, they also have companion books for younger kids (Smart but Scattered) as well as a new, Work-Smart Academic Planner that I’m excited to be checking out! 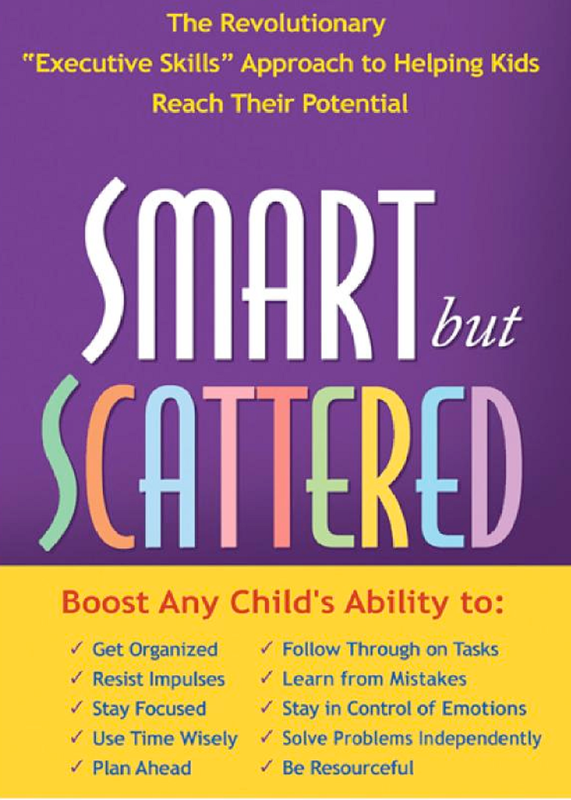 Written by a psychologist who has lots of experience working with kids with ADHD, this is an easy-to-read book that is broken down into short chapters giving a nice overview of ADHD and explaining things that are important for kids with these issues that doesn’t involve medication. Also, it’s not that Dr. Monastra is anti-medication, it’s just that his experience (and scientific research) has shown that there are additional/other interventions that can be helpful for kids (and adults!) with ADHD. Basically, medication alone is not enough. He talks about things like diagnosis, the role of medication and what it can and can’t do, how to work with the school to support your child’s success, developing emotional control, and giving yourself a break as a parent. Note: I have the 2005 version. In writing this post I see that there is a 2014 version. So I don’t know what has changed between the two. This website is chock full of ideas and resources. 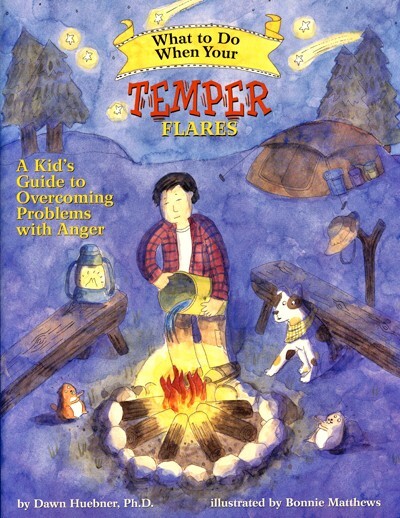 I like it because it provides information in quick, easy to digest chunks, perfect for the ADHD soul. You can subscribe to enewsletters that will send out information on specific topics. They also offer free webinars presented by people who work with individual with ADHD or have it themselves. I find that this site is really a great way to begin to familiarize yourself with how the ADHD brain works and what approaches and strategies can be the most helpful in coping with some of the challenges the ADHD brain can present. It also does this in a way that celebrates the strengths of ADHD brain, which I really like. CAUTIONARY NOTE: I admit that I have mixed feelings about this website. I’m listing it because it does provide access to a lot of wonderful information. However, the advertisements have a heavy push to encourage people to spend hundreds of dollars on “ADHD Coaches.” I have no experience with anyone in that line of work. I do know that there is no licensure for ADHD coaches so you would have to do your own investigation to make sure that, should you ever choose to try that option, you are working with someone who is skilled and worth the money. I don’t find that it is necessary to have an ADHD coach to be able to work through some of the challenges that having ADHD can present, however I don’t rule out that they can be helpful in the right circumstances. Self-education, trial & error, working with a licensed professional (which insurance will often pay for), these are all things that can promote growth and change without such a large expense as paying out of pocked for a coach.